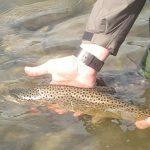 If you’re reading this blog, chances are that you, or someone you love is a big fisherman, and you have been looking for fly fishing gifts that they will love. Your search is over. Especially if you’re in the Columbus, MT area (and even if you aren’t! ), we have all of the gifts ideas you need to get your favorite Angler a gift that they really want. 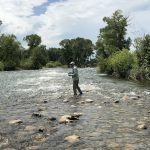 Getting the perfect gift for the fly fisher in your life is more than just getting them something fish related, you want to get them something they can use when they go out. A perfect gift is one that makes them happy in the moment, but that they also get excited to use long term. 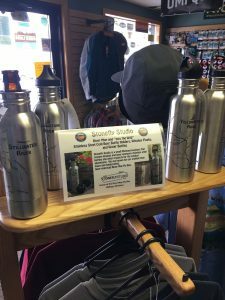 These stainless steel water bottles are not only a great reminder to stay hydrated, they also have maps of the rivers that make for the perfect accompaniment for your next outdoor adventure. Here at the fly shop they even have bottles that unscrew at the bottom so you pack your beer or bottled drink and keep it cold all day long, as well as protect the glass from breaking. 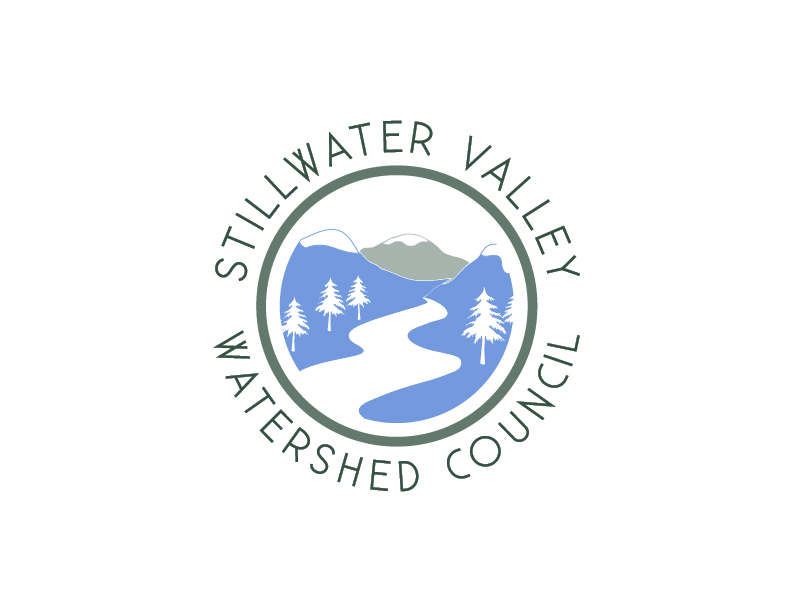 Head into Stillwater Anglers Fly Shop and pick yours up today, or order some from Stonefly Studio. By cool, of course, we mean you will look cool, but these fun t-shirts are the perfect way to gear up for a weekend of fly fishing! 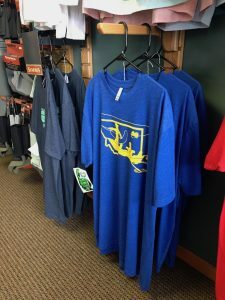 If you’re looking for easy and popular fly fishing gifts, the Fly Shop has t-shirts for every member of the angler family. Stop by our shop and check out the wide variety of t-shirts we have that will make a great gift for any occasion. These fly boxes are awesome, and they, of course, have your favorite river right on them. 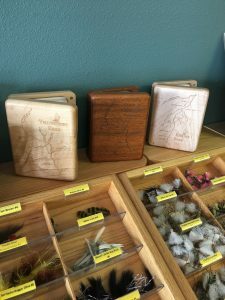 These small and portable fly boxes are great for storing your favorite flies or to load up the next time you head out to the river so you don’t have to pack your bulkier box. Stonefly Studio is at it again with custom options that you can order, or stop by the shop and see what we have in stock for you today! These boxes make great gifts and mementos. Father’s Day will be here sooner than you think… time to start thinking about getting your dad a gift he really wants. What is more exciting than a new quality vest to hold all of your gear while out on the water. Perfect for wading, boat trips – you name it! The vests we carry in the store have the convenience of being a lightweight yet durable vest while having all of the versatility as a pack. Come try some on today and maybe gift yourself! Whatever type of head cover you need, we got it! Our Stillwater Anglers ball caps are comfortable and make for great gifts. 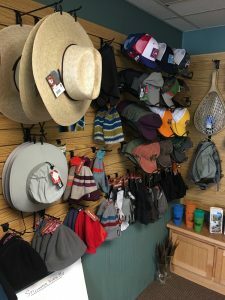 Plus we have high-quality sun hats and fishing hats to keep the hot sun off your neck and out of your eyes. We know we can almost taste the heat of the summer, but we also have warm beanies during those cooler months! What Would Your Angler Do Without Their Sunglasses? Sometimes it can be hard to find just the right type of sunglasses to keep your vision clear and the bright sun out of your eyes. 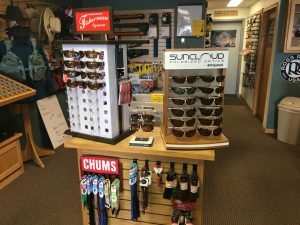 Try some of our polarized sunglasses that your favorite fisherman will love. 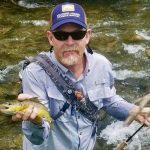 Nice eyewear are classic fly fishing gifts, and the good news is that not only do ours look good, they are useful and long-lasting. 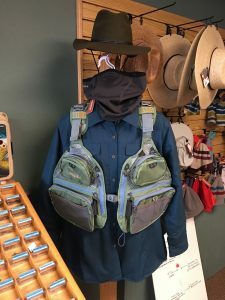 If you’re at a loss for what to buy as a gift for the fly fisherman in your life, a toolkit, streamside kit, or all-purpose toolkit will make anyone giddy to get out on the water. Check out all of our kits at the shop and let us help you pick the right one for your special someone! Nothing says “I love you” more than a new set of waders. 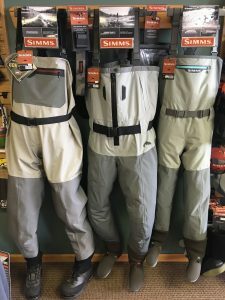 Whether it’s a gift for yourself or someone else, a new set of Simms waders will have any angler jumping for joy. Bring them to the shop and watch their face light up as they try on these high-quality waders (and probably new boots too). We have women’s boots and waders too! Not sure which ones you need? We can help you decide and order some into the store if you need it! 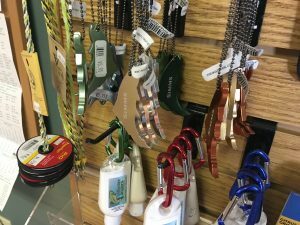 If you just need something small to top off your Father’s day, anniversary or birthday fly fishing gifts, check out our useful and fun keychains. From our trout bottle openers to our lotion mountain climber keychains, these easy gifts are a great addition. 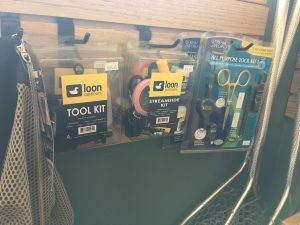 If you’re stopping by the shop, check out all of our essential and affordable fishing trinkets and tools that are great for adults and kids alike! 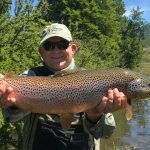 Probably one of the best gifts you can get for a fly fisherman, short from an all expenses paid fly fishing adventure in Argentina, is a new fishing rod or reel! 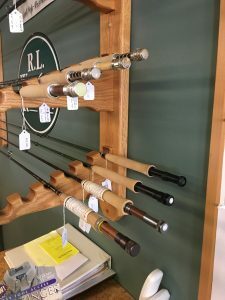 Head to the shop and we’ll tell you all about our favorite rods. Need a gift for that special grad? How about a new rod and reel setup? Well, what do you think? Do you have enough ideas to get the fly fisher in your life the perfect gift? 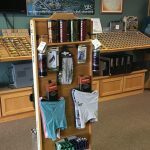 Head into the shop today and browse through everything we have to get beginning anglers everything they need to get started, or experienced anglers all stocked up on their favorite products! 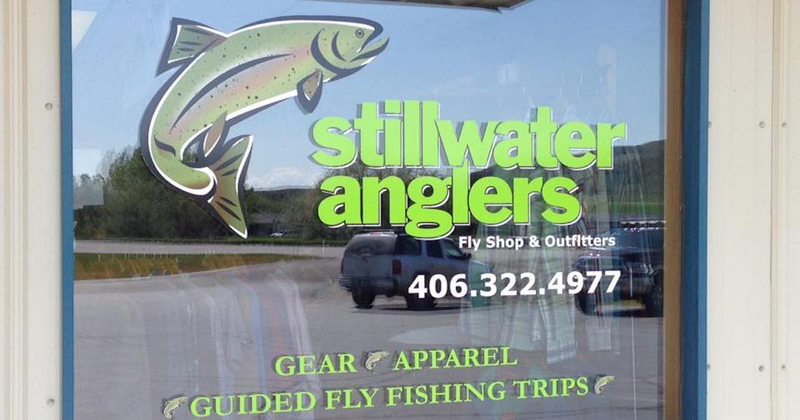 Don’t forget, you can always pick up a Stillwater Anglers Fly Shop gift card. What are some fly fishing gifts you think we missed? We’d love to hear your thoughts.